The document which Jim is referencing is Anglicanorum Coetibus, an Apostolic Constitution issued by Pope Benedict about a year ago now. In it, the Pope provided the framework for the formation of personal ordinariates designed specifically for Anglicans (generally called Episcopalians in the United States) who wish to enter the Catholic Church. The term “personal ordinariate” is not one that Catholics run across frequently, so let’s take a look at what it means, and also at the reasons why the Pope has determined that this structure will be helpful to those Anglicans who want to become Catholics in the future. While “personal ordinariate” may not be a household term, ordinary Catholics certainly do know what a diocese is, and the concepts are similar. According to canon 369, a diocese is a portion of the people of God, entrusted to a bishop. Normally, this portion of the people of God is defined territorially (c. 372.1). Every Catholic who lives permanently within the established territorial boundaries of (say) the diocese of San Diego is—with a few exceptions that need not concern us here—a member of that diocese. In other words, a Catholic’s diocese is determined simply by his home address. A personal ordinariate comprises a portion of the people of God, as a diocese does—but it is not purely territorial. Catholics become members of an ordinariate not based simply on where they live, but for some other reason. The most common examples of ordinariates are those which Rome has established for Catholic soldiers. A military ordinariate is designed to care for the spiritual needs of the Catholic members of a particular country’s military forces, wherever they may happen to be. As we all know, American soldiers are stationed at any number of military bases, both here on American soil, and also in several foreign countries; and these bases happen to be located within the territory of different dioceses. But every time that soldiers are transferred to another US base, or sent overseas, they are of course no longer residing within the diocese where they used to be. The frequent moving could wreak spiritual (not to mention canonical) havoc on soldiers planning to get married, or on soldiers’ young children preparing to receive the sacraments for the first time. Therefore, instead of transferring the responsibility for their spiritual care to a different bishop every time they are moved, the Church has instead arranged that they are always under the care of the ordinariate established for members of the US military. This means that an American Catholic soldier is, by virtue of his status as a member of the US Armed Forces, a member of the military ordinariate for the US. If he is moved from Texas to Virginia and then on to Iraq, he is in fact living in a different diocese after every move, but the Archbishop who heads the military ordinariate is always responsible for his spiritual wellbeing. To get back to Jim’s question now, what did Pope Benedict do in Anglicanorum Coetibus that is completely new? He established the possibility of ordinariates being established for former Episcopalians/Anglicans who become Catholics. The Pope did this in light of the undeniable fact that significantly large numbers of Episcopalians, including many of their clergy, have recently indicated a desire to join the Catholic Church. Here in the United States, one doesn’t need to be Episcopalian to know that the Episcopal church has been rife with disagreements in recent years, particularly regarding the ordination of women and of homosexuals. These disputes obviously touch on some fundamental aspects of theology, as well as on current political and social issues. The first of these disputes goes back several decades. Back in the 1970’s, the Episcopal church in the United States began to ordain women as deacons and priests, and Anglicans throughout the world soon followed. In the late 1980’s, they even began consecrating women as bishops. Each of these milestones occasioned vehement opposition among a significant number of Episcopalians who feel strongly that Christ reserved ordained ministry to men only. 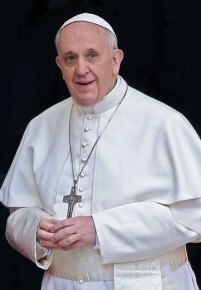 Their opinion, of course, happens to echo the official position of the Catholic Church, which (as we saw in “Can Women be Ordained Priests?” and “Could the Pope Change the Law to Allow Women Priests?”) teaches that Christ deliberately established a male-only priesthood, and that women cannot be ordained to the clerical state. 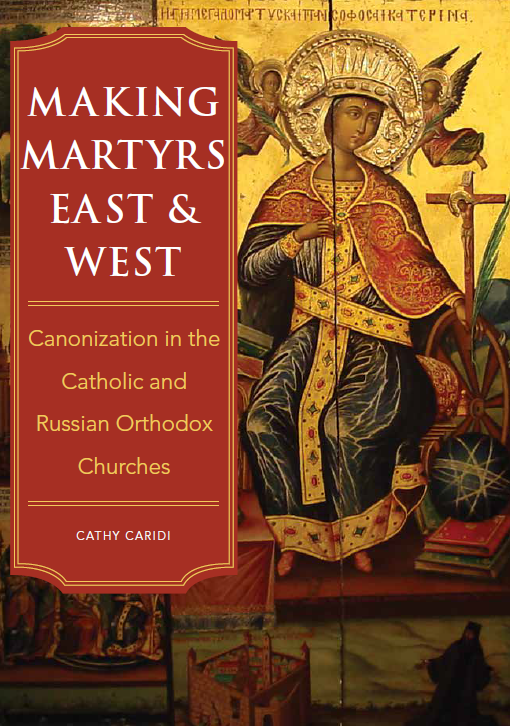 It was no surprise, therefore, that a large number of disillusioned Episcopalians and Anglicans throughout the world sought to join the Catholic Church when these events occurred. Another wave of Episcopalians began entering the Catholic Church in 2003, after the election of an openly homosexual, non-celibate bishop in the United States. Sharp internal divisions within the Anglican communion still remain as a result of this man’s episcopal consecration. And part of the fallout entailed a sizeable number of Episcopalians/Anglicans being received into the Catholic Church, or planning or at least considering the move. In some cases, whole parishes (or at least a large number of members) have become Catholic, along with their pastor, all at once! Here in the US, Pope John Paul II began to give permission for these groups of new Catholics to form special parishes of their own, and to use a form of Mass which, while it is truly a valid Catholic Mass approved by the Vatican, incorporates many prayers and rubrics from the Anglican service. The first of these parishes was established 30 years ago in Texas, and others have been created since. Generally their pastors are former Episcopalian clerics who entered the Catholic Church, and were subsequently ordained as Catholic priests and assigned to ministry in these parishes. These individual parishes were canonically erected as parish churches in the dioceses where they are located territorially. Thus one occasionally finds a diocese with scores of parishes of the “regular” type, plus one Anglican-Use parish. Pope Benedict’s new document is forward-thinking, as he clearly envisions that many more Episcopalians/Anglicans may want to establish similar parishes throughout the world in coming years. It would certainly be possible to leave the current arrangement the way it is, which might mean that in the future one might find only one Anglican-Use parish in Diocese A, but fifteen in Diocese B, and none at all in Diocese C. But the Pope has provided for another organizational system that might in the end ensure greater consistency and possibly also provide these Anglicans-turned-Catholics with a sense of unity, while at the same time being true members of the Catholic Church. If a personal ordinariate is established for these new Catholics in the US, it would encompass all those new parishes of former Episcopalians located in every diocese in this country. Each parish, then, would be physically located in the territory of a particular diocese, but would not be under the direct spiritual care of the bishop of that diocese. Rather, they would all be under the care and authority of an “Ordinary,” their hierarchical superior, who might be either a bishop or a priest (see Complementary Norms for the Apostolic Constitution Anglicanorum Coetibus, 4.1) On a day-to-day practical level, this could occasionally get tricky, because the Ordinary would be required to coordinate his efforts with the diocesan bishops in whose territories these parishes would be located. At this point, however, this is very much a work-in-progress, as no personal ordinariates have yet been established! While the wheels are turning and procedures for an ordinariate are currently being discussed right here in the US, this is obviously not an institution that can be set up overnight. Its arrangement will undoubtedly depend on the numbers of former Episcopalians who have become, or who have indicated that they will soon become Catholics; their geographic locations here in the US; the number of former Episcopalian pastors and other clerics who become Catholics and wish to be ordained Catholic priests; and numerous other practical factors. In some countries, it may prove useful to establish multiple ordinariates, depending on the numbers of Episcopalians/Anglicans entering the Church there. In England, where establishment of a personal ordinariate is likewise in progress, hundreds of Anglican clergy, including five bishops, have already indicated that they will become Catholics. Erecting only one ordinariate for the entire country might therefore prove eventually inadequate. This entry was posted in Canonical Issues Involving Non-Catholics, Clergy Issues and tagged Anglican, canon law, Catholic, convert, Episcopal. Bookmark the permalink.